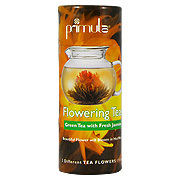 Primula Flowering Teas are made by artisans in China. 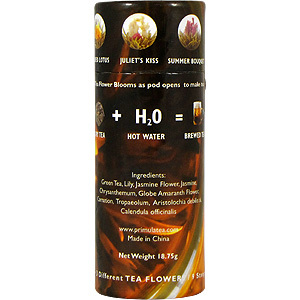 The flowering teas are comprised of hand sewn AA grade Green Tea with all natural flowers. 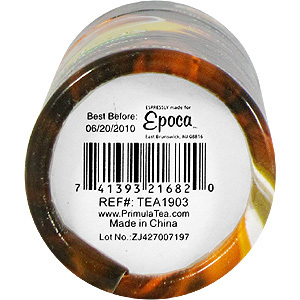 The green tea is blended 5 times with jasmine to make for an aromatic scent. The package includes green tea with 3 different styles and colors. There is a lot of belief that the antioxidants contained in the green teas are very healthy. It is also believed that there are certain healing benefits for brewing flowers. The health benefit guide will take you through this journey. Using a glass tea pot alone or with infuser is the best brewing method as it allows you to bring out the best taste of the tea. After you have enjoyed your first pot of tea just pour hot water back over the flower and allow it to brew to your desired strength. 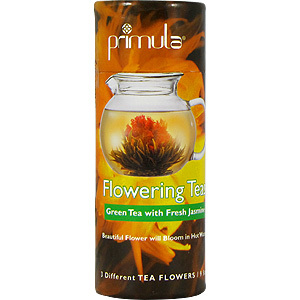 Flowering Green Tea w/ Fresh Jasmine is shipped in a discrete, unmarked package. Orders are processed immediately and usually take about 3 to 5 working days to be received. We do ask that you try it for 2 to 3 weeks to feel the full effects. Any information received is used only for order processing and shipping purposes. Your information, such as e-mail address, will never be disclosed to a third party.